This extension of the U4 line begins at the existing Jungfernsteig station, from where it runs underground in a southerly direction. Two new stations were built in the HafenCity: 'Überseequartier' and 'HafenCity Universität'. 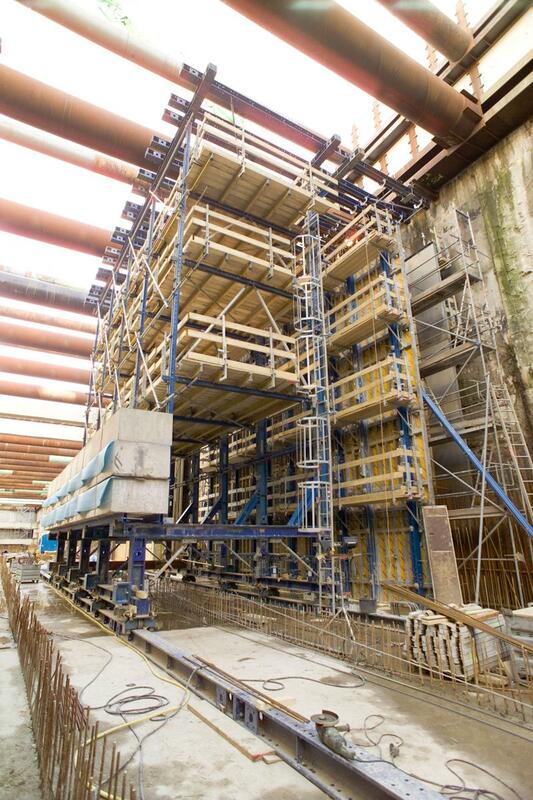 In the works on the Überseequartier station building, horizontally arranged trench-shoring girders made it impossible to lift and reposition the wall formwork elements by crane. 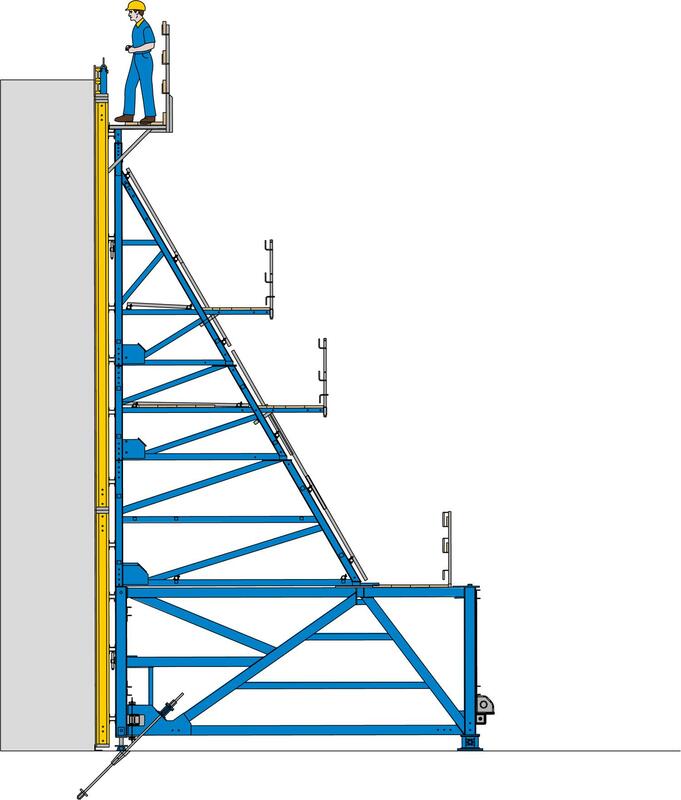 This necessitated using a traveller unit from which the wall formwork was suspended in large-area gangs. 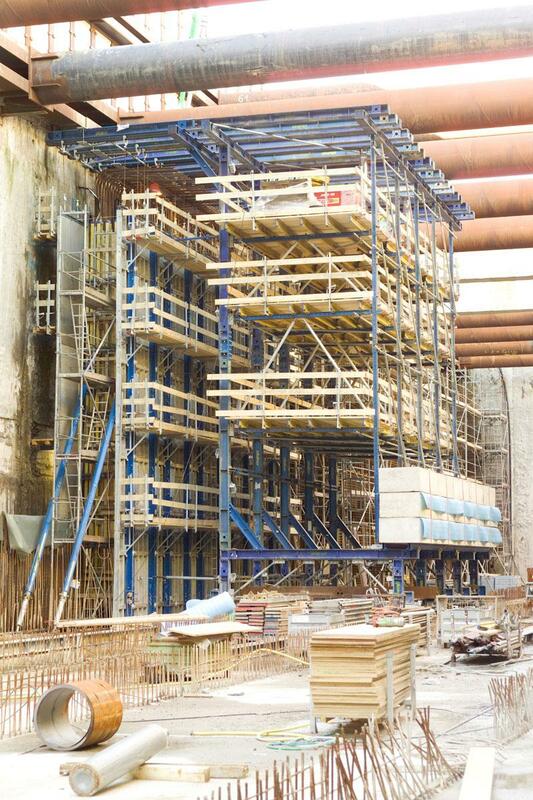 The excavation pit for the 'HafenCity Universität' contract section was so narrow that there was only enough space for single-sided formwork to form the 1.50 m thick and 10.60 m high walls. 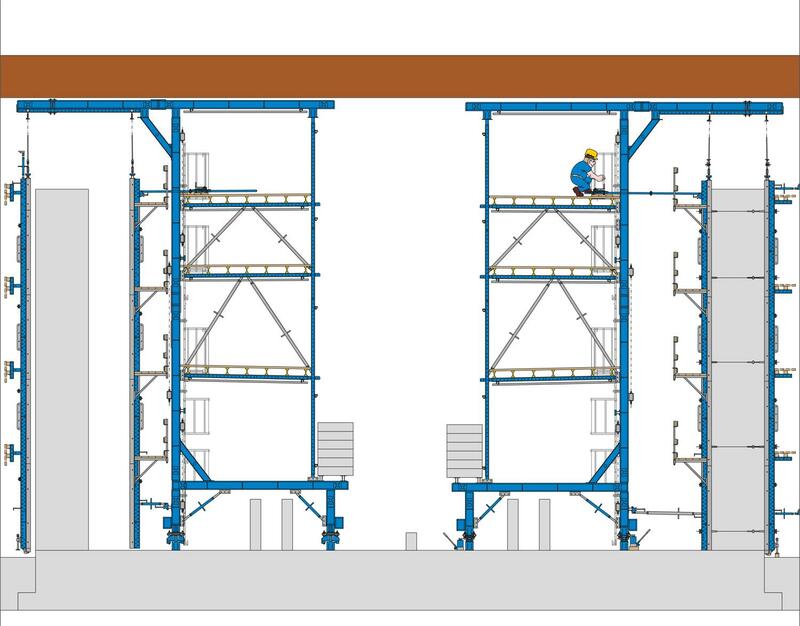 Doka supporting construction frames, coupled with Attachable frames F 2.40, were the right formwork concept here. Thank you for your interest - U4 "HafenCity". 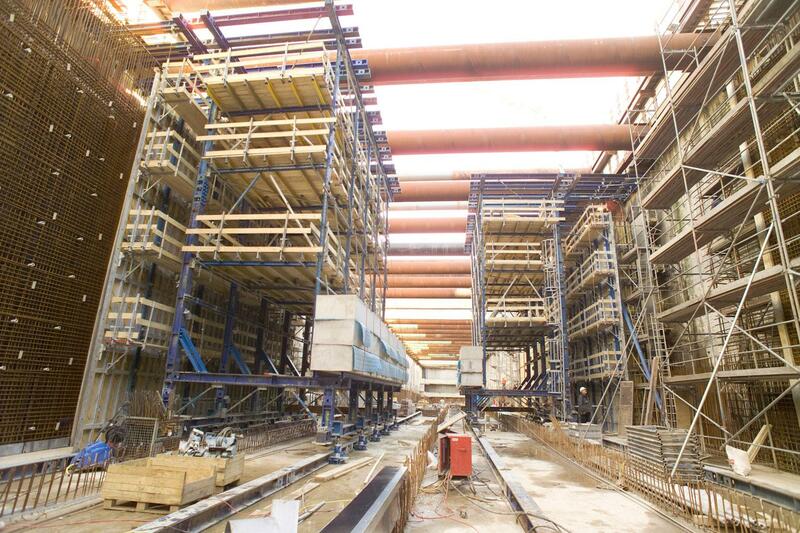 Thank you very much for your interest - U4 "HafenCity".